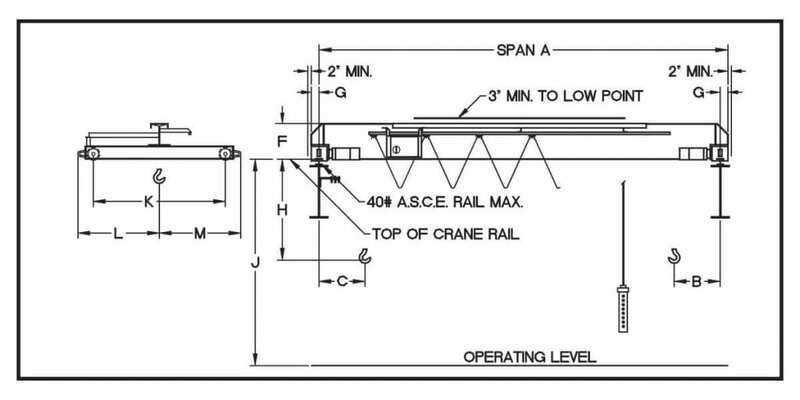 View specifications details using the “Crane Builder Tool”. Gather various information about the crane specific to your application requirements. To request a quote, use the Crane Builder Tool by entering a capacity and span. It will provide you with a downloadable PDF. Once completed, then contact us using the link located at the bottom of this page to upload your PDF to us.